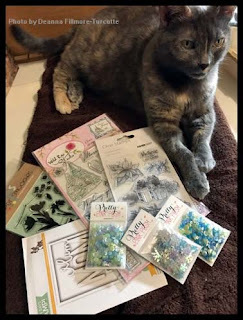 As I have stated previously...when I can't craft I shop....planning for when I will have time to craft! 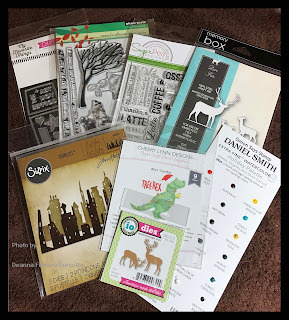 I have been doing a few odds and ends projects, but I haven't had a ton of time to spend making cards and full projects. Lots of times when I have a few minutes to spend in my studio I will make pieces for cards and stock pile them for when I can spend more time in my studio. 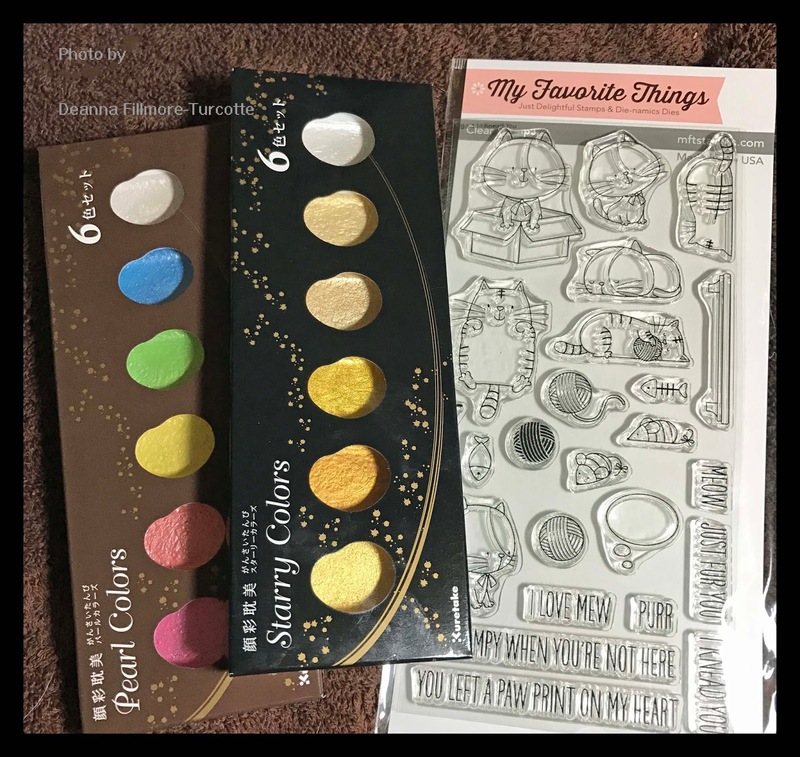 I used to work and shop at a local scrapbook store and now that it is gone I get a lot of my supplies on line, the only store really close to me is Michael's and most times they just don't have what I am looking for. 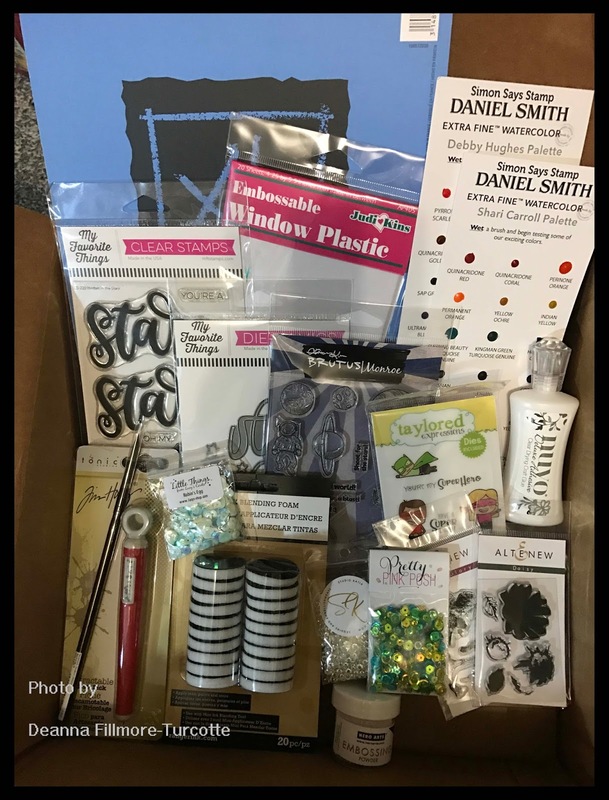 The first picture is my order of goodies from Simon Says Stamp, I got this in the spring and have tried many of the products in here. 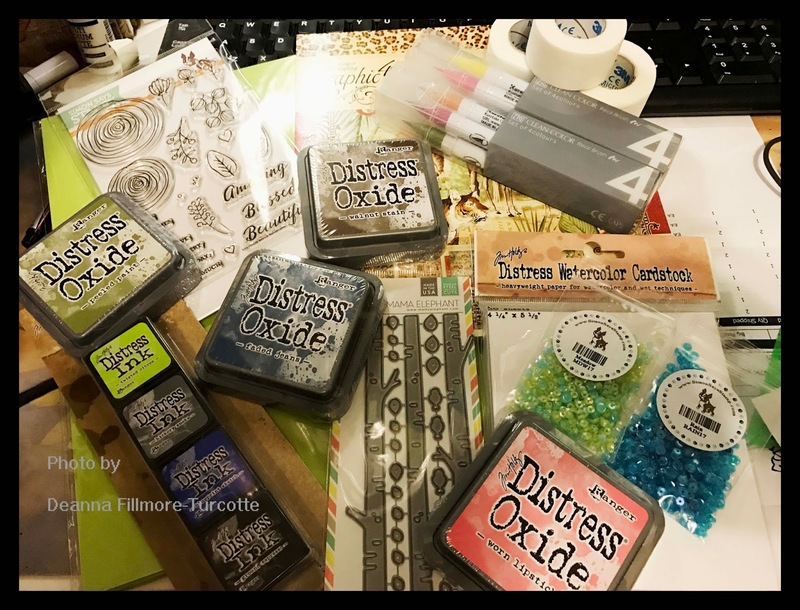 I love the new distress oxide inks and would love to get more of these. I have also been trying out the Zig Clean Color Real Brush watercolor markers. Urban Source is a local store over in Vancouver that I love to shop at when I get the chance. I can't get there as often as I like, but I always stock up when I do. This is a great place to go for all kinds of treasures. This is my Birthday haul of goodies, so many fun items in here...I really should have taken some better pictures of the goodies in here. 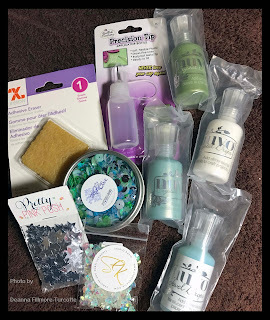 So many projects I want to try with these products. SSS sent me another free gift code and I got the die and stamp set that are in the above photo! 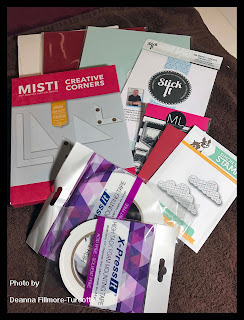 Finally got my hands on the Misti Creative Corners and stocked up on some card stock and foam tape. 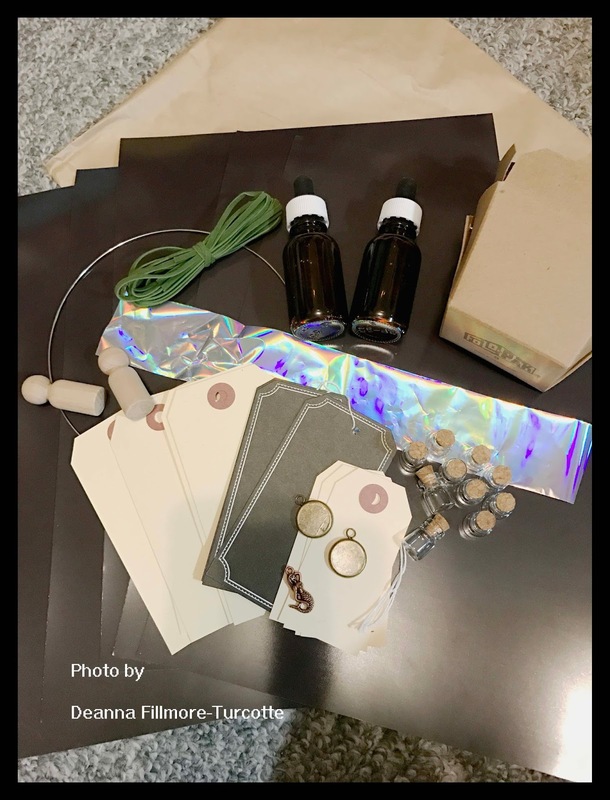 The bottom two photos are the other goodies from I got in this haul. Last, but not least...a wonderful belated birthday present from my brother & sister in law. 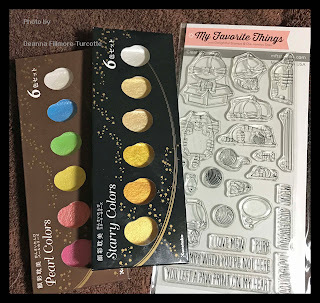 These watercolor sets are beautiful and I can't wait to try them & the stamp set is so cute. There just aren't enough hours in the day!!! Can't wait to get some more time in my studio!! !